It appears Madeleine de Rauch became an internationally known couturière by accident when she began designing sportswear for her own use. After much excitement was generated for the uniquely elegant capris, trousers, and beach fashions, De Rauch launched her own sportswear line and her first Paris fashion house in 1928. 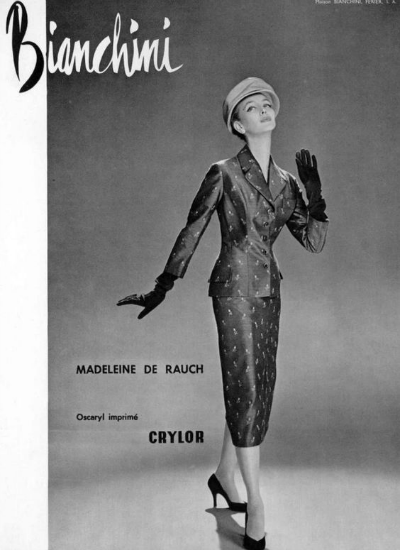 In 1932 Madeleine de Rauch and her sisters founded the fashion house that would bear her name. She quickly achieved success and expanded her designs to evening wear. Considered a designer for the conservative wealthy, her use of quality fabrics in tweeds, velours, flannels, and felts set her apart from her contemporaries. Unlike many Paris couturiers, de Rauch continued to operate during the 1940's German occupation. Her designs reflected the invasion influence in her mode martiale or military fashions. Madeleine de Rauch designs were praised for their sober and elegant style. She embraced the post-war return to grace and femininity with her alluring evening gown designs. 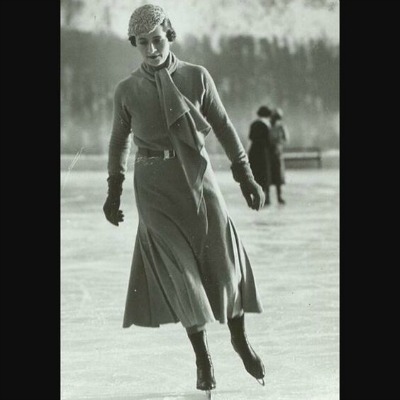 However, the specialist in sportswear design continued to devote many of her collections to ski and golf apparel. Her sports dresses, street clothes, and travel outfits were cleverly innovative and widely received. 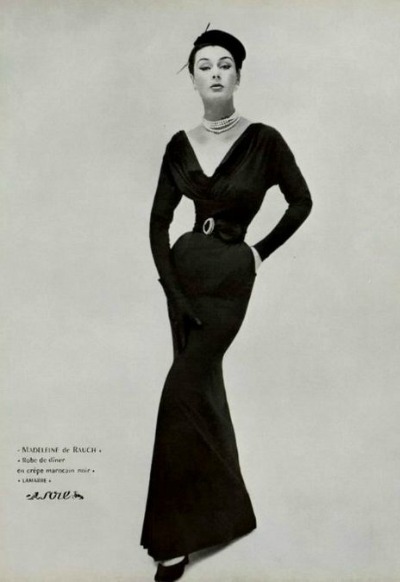 The 1950's saw an emergence of the prét-â-porter from the couture houses. Again, Madeleine de Rauch was a pioneer in this movement. 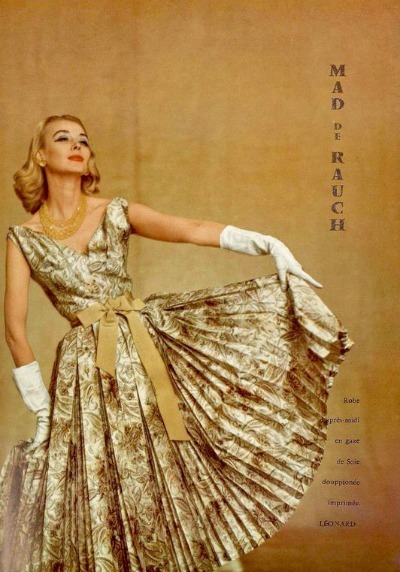 De Rauch's fifties' collections were rich with varied accessories, new materials, and greater diversity in lengths. She designed outfits for every event and every hour of the day. There were suits for mornings and dresses for the afternoons. Her cocktail dresses, dinner wear, and lovely evening gowns shown at night. . The sixties was the era of the "grand parade of perfumes." The house had great success with "Belle de Rauch", "Vacamme", and "Miss de Rauch." Monsieur de Rauch" was the complimentary men's fragrance. The hallmark of the de Rauch style continued to be a refined elegance with well-cut tailored suits, and easy fluid evening wear until their closing in 1974.